Bizcopter’ AFD 18 took to the Skies! 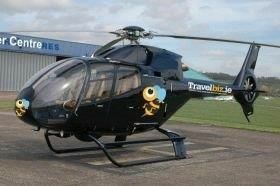 Whilst the four wheel Hive took a well earned rest, Travelbiz entered into an exclusive deal with AFD18 COPTERS. Don Shearer (CEO Travelbiz) revealed the exclusive co-branding deal in the sky on the morning of April the 01st during the inaugural flight of the TravelBizcopter over the skies of Dublin and Waterford. Don Shearer completed his 70th hour of flying in Barcelona and will pilot the AFD18 to events and launches in Ireland and the UK throughout 2018. The Biz "eye in the sky" initiative is part of a global deal with three world leading brands who have signed a co-branding deal with Travelbiz for worldwide distribution. Really?